Puppies are born without teeth and that is why they need mother’s milk in the first months until they develop baby teeth for chewing kibble. If you have not taken care of your adult dog’s teeth for years and years, then s/he could develop canine dental abscesses and gum diseases. In extreme cases, your vet could be left with no choice but to remove severely abscessed teeth. Worry not; most toothless dogs do well as long as you feed them a balanced diet that is soft and wholesome at the same time. In this guide, we will study ways to care for a dog without teeth or with few teeth. At the first appearance of these signs, you must take your pet to the vet. 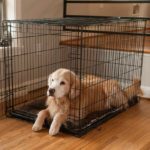 Delaying this procedure will worsen your pet’s health and can have an impact on all other aspects of his life. Please read my article on Best Dog Chews for Good Canine Oral Health. 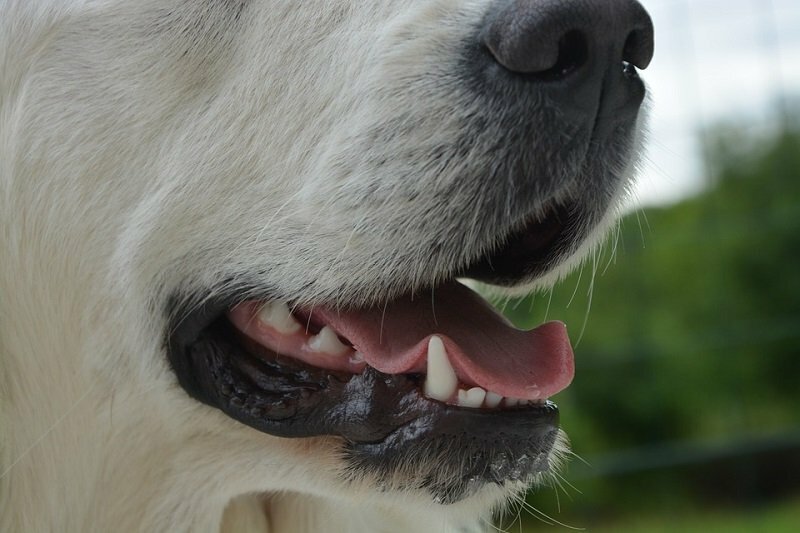 What food is good for dog’s dental health? Always look out for dog food having abrasive action on teeth. All dry foods have this and they cleanse and whiten teeth and freshen up breath. Look for the VOHC seal. VOHC stands for Veterinary Oral Health Council. These sealed products indicate that they meet standards of tartar and plaque control. The seal is only given to products that pass the standards and protocols set by the Council. Many dog foods are sold without the Seal from VOHC but they still claim to prevent or reduce plaque and tartar. At this point, the FDA for Veterinary Medicine is not banning these foods but dog owners should know that no dog food may claim to prevent or treat dental diseases in dogs. 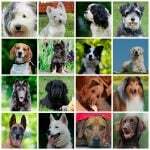 Check out my article on best dog food for senior dogs. Sometimes, dogs tend to be picky eaters. Many dogs also have food allergies. In such a case, you cannot feed them anything new. If your dog has had its teeth removed, you need not make drastic dietary changes. Instead, simply soak his/her regular food in chicken broth, water, buttermilk, bone broth, beef /fish stew. The kibble pellets absorb the moisture and they soften as they swell up. Your dog can eat this soft food after a few hours of soaking. You can also microwave soaked food so it is nice and warm. Blending the dry kibble to fine powder also works. Most dogs do well on a diet of rice and chicken (cooked together or separately). Add some boiled and pureed veggies as well to ensure that your pet gets his fiber and vitamins. Pureed carrots, sweet potatoes and pumpkins are great for dogs. You can also add apples, beets and blue berries; pretty much everything your pet ate while he had teeth. Just puree and mash the food first. Millets are extremely healthy for dogs and they are well tolerated even by dogs with allergies to gluten. Make a flatbread with millets (sorghum or pearl millet) and soak it in chicken broth. Your dog will love it. Add some coconut oil to the rice/millets. This will enhance taste and the oil is really healthy for dogs. All dog food brands make canned or wet versions of their kibble. IAMs, Purina, Hills Science Diet, Royal Canin etc all make premium quality canned dog food. Chunks-in-gravy style food is perfect for little or big dogs with no teeth. Yogurt with mashed fruits is great snack for dogs with no teeth. You can also give buttermilk. Bone broth is very good for dogs. I have discussed benefits of bone broth for dogs and some tasty recipes here. Purina is a popular dog food brand and it makes some great products that are loved by dog/cat owners across the globe. It is available in different flavors like Steak, Burger etc. You can feed Purina soft dry dog food to small dogs with no front teeth weighing up to 3 lbs all the way up to larger dogs of over 100 lbs. Always allow some time for your pet to transition to new food. This best dry food for dog without teeth is completely balanced and provides all the nourishment your pet needs. Ingredients include: beef and beef byproducts, soy, wheat, cheese powder, and added vitamins and minerals. Note that this dog is not suitable for pets with gluten allergies. Each box contains about 24 smaller packets of burgers. You can also buy trial packets with 2 individual packets or go for the 36 count packs once your pet has liked this food. You can store it in the refrigerator or even outside. 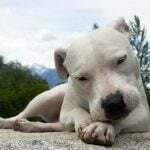 In fact; many dog owners have left the burger in their pet’s dish for several hours before the dog ate them and all that occurred was that they got a bit hard. The food is soft but not too mushy; the portions are perfectly sized for small dogs. Whether you have a greyhound with no teeth or a yorkie with teeth; this dog food can suit both dogs. You can use this as a meal, a snack or as a topper for regular food. Picky dogs with no teeth or with few teeth love this food. On the down side, it contains gluten as well as high fructose corn syrup. Some dogs without teeth are still able to swallow kibble which is smaller in size. After all; dogs wolf down their food and they don’t always chew it. Smaller kibble foods like Diamonds grain free brand are great for dogs with no front teeth. Diamonds Naturals pet food is grain free. It comes in 3 different varieties like chicken and sweet potato, beef and white fish. This food is suitable for dogs with gluten allergy. The smaller size of kibble makes it easier for dogs with few teeth. All in all, this high quality food is highly recommended to picky eaters, dogs with digestion problems, upset stomach as well as those having few to no teeth. The silver lining here is that even though a dog is always better with a set of healthy teeth, s/he can continue to have a good life without them. Older dogs without teeth or with few missing teeth are still able to eat kibble rather than depend on wet or semi dry food. As you’ve no doubt noticed, most dogs wolf down food as against chewing it. 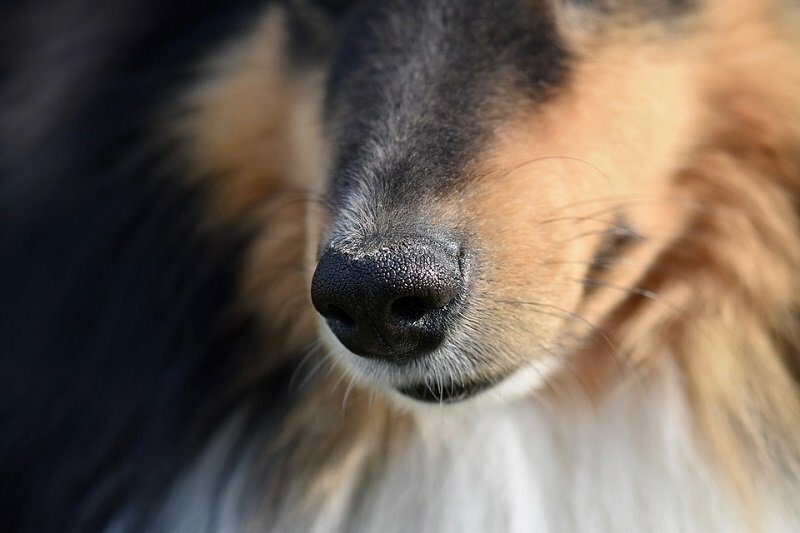 If your dog has severely abscessed teeth then you may want to have them removed. In severe situations, teeth removal may be your only choice and you would have done right by your pet by stopping the spread of infection.